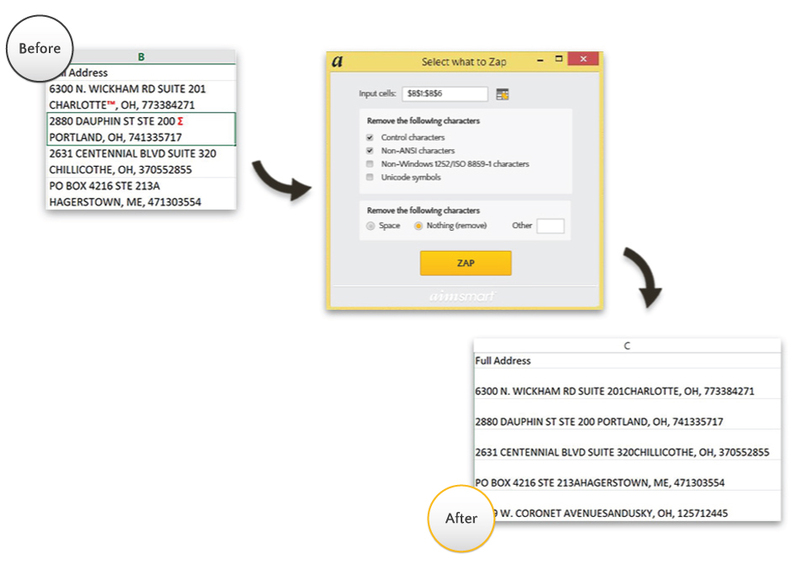 Easily match Excel data to another Excel sheet, text file, or database. Smart Match is incredibly easy to use and the quality of matching is superior to competitor offerings. “Fuzzy” matching is taken to a whole new level with Smart Match’s nickname capability and name-customized sound-alike library. Crosscheck individuals against government exclusion lists to find matches. Smart Check leverages exclusion lists such as the one provided by the System for Adware Management (SAM), the Office of the Inspector General (OIG) and the Food and Drug Administration’s (FDA) list of barred doctors. Pharmaceutical manufacturers can improve their compliance with the Physician Payments Sunshine Act using Smart NPI. Pharmaceutical manufacturers’ relationships with healthcare providers become more transparent when data is aligned to the NPI#. 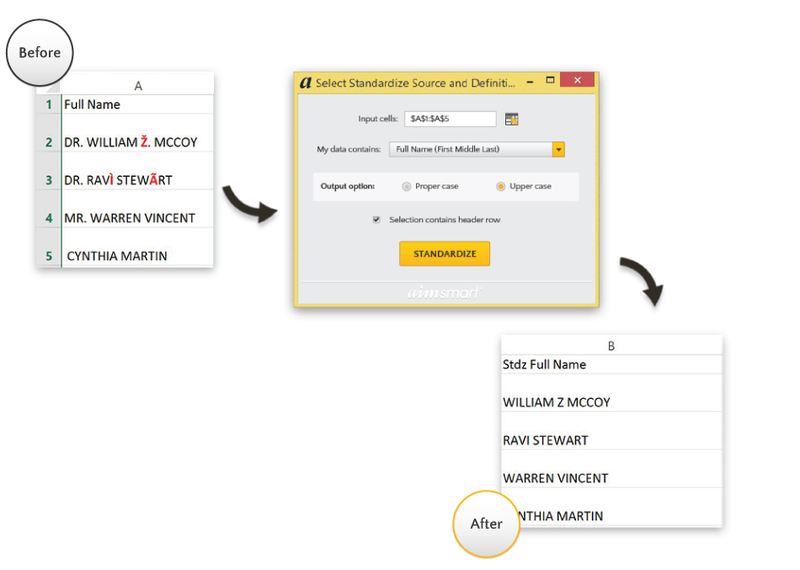 Quickly identify duplicates in a source using best-in-class “fuzzy” matching principles and an easy-to-consume output. Like Smart Match, Smart Dedupe leverages our nickname capability and name sound-alikes. Remove gremlin characters including control characters and foreign language characters that cause headaches. 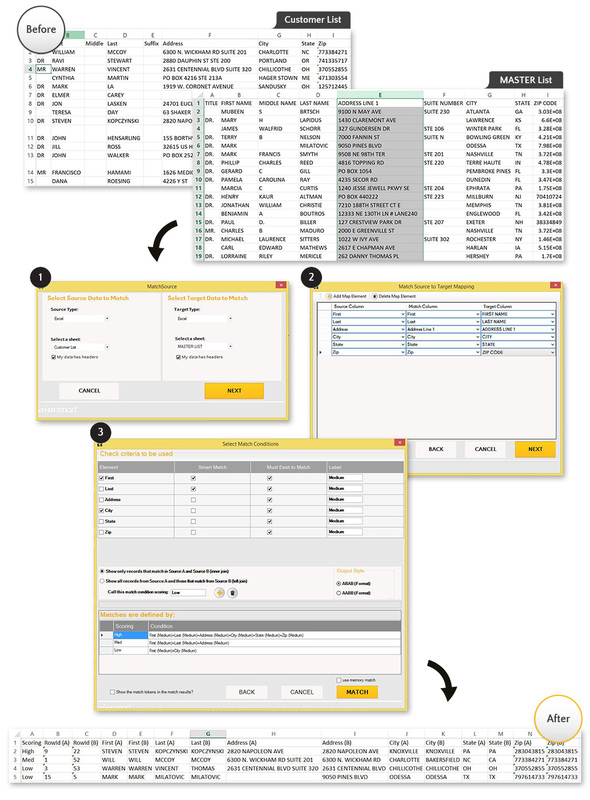 After Smart Identify determines possible problems with control characters and other special characters (such as diacritics or foreign language characters), Smart Zap is the tool you’ll want to have to remove the problems. Guess gender based on first name. Smart Genderize creates one of three codes when looking at a first name: M (Male), F (Female) or ? (Unknown). Smart Genderize helps companies understand their customers better, and can help segment their customer base into more granular parts. Identify problems in a data source via thorough analysis. 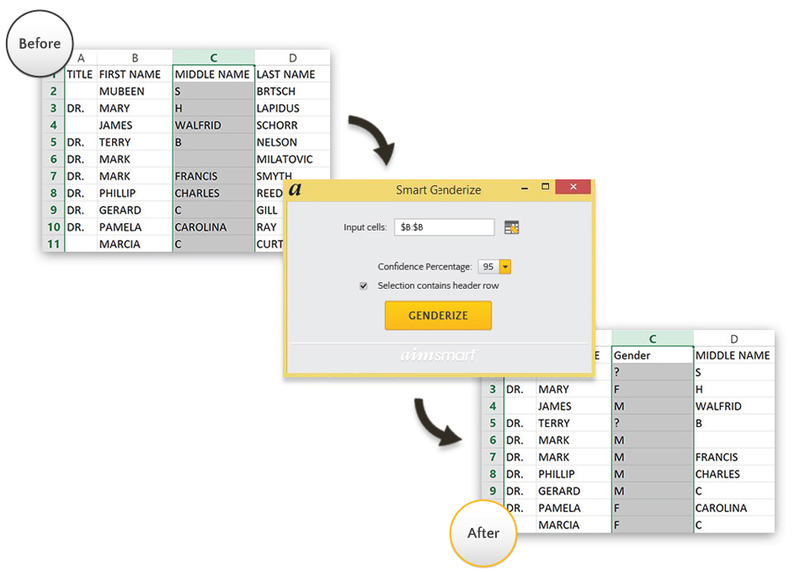 Smart Identify profiles an Excel spreadsheet to find control characters (such as newlines) that will cause a problem if the data is exported to CSV or other flat file outputs. Smart Identify helps find potential encoding page issues before they happen to ensure that migrating data is successful. 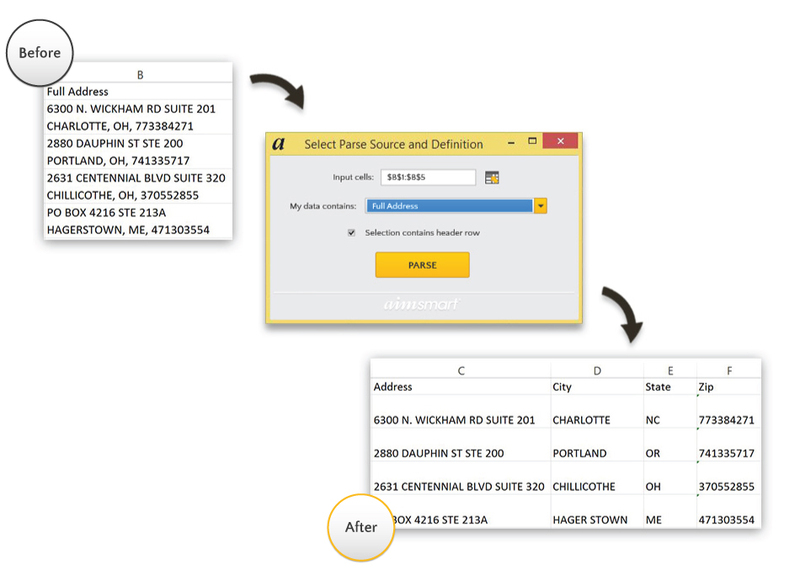 Break a data element into its parts. Smart Parse can take data, such as a name or address, and divide that information into parts such as first name, surname, etc. Smart Parse is critical when payment data from the ERP system records only the payee yet the data needs to be split into parts for reporting reasons, or if the data needs to be aligned to other systems that store the data parsed. 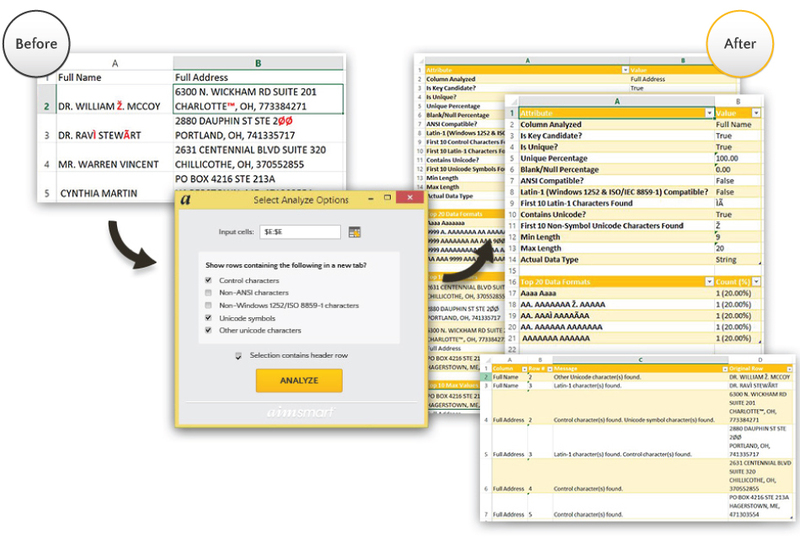 Enhance customer data to provide consistency in formatting. Smart Standardize is often used for diacritic removal, mailings, reports, and any other time that formatting is helpful to the end consumers of the data.